A Central Bureau of Investigation (CBI) court on Tuesday extended the judicial custody of arrested cops, including Inspector General (IG) Zahur H Zaidi and former Shimla Superintendent of Police (SP) DW Negi for custodial death of one of the accused in the Gudia gangrape and murder case. The arrested cops were produced before a court here, which extended their judicial custody till 5 February. The hearing on permission for taking voice samples of cops would also take place on 5 February and the court is likely to pass an order on the issue as lawyers did not even turn up for the hearing to plead their case. 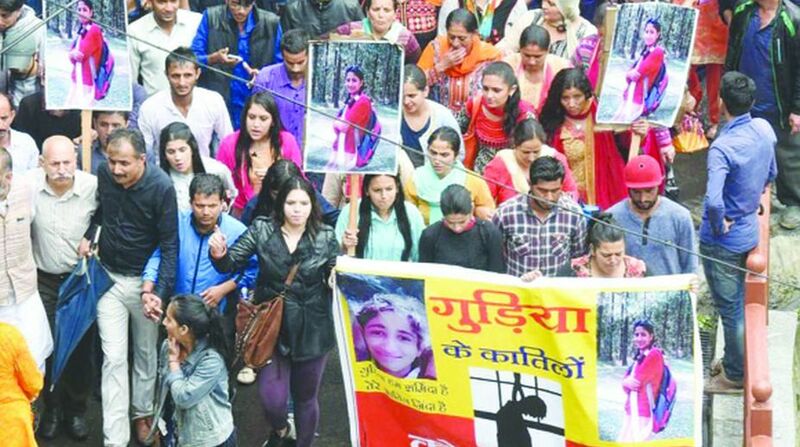 The District Bar Association has decided to not to plead the case of the accused cops in the gangrape and murder case in Kotkhai area of Shimla district which led to outrage across the state. The policemen were arrested for the alleged custodial death of one of the accused, Suraj, a Nepalese national, though, the police had claimed he was murdered by another accused, Rajender Singh. Suraj was allegedly thrashed severely inside the lockup for demanding an extra chapatti for dinner on the intervening night of 18-19 July. Gudia, a tenth standard girl from Kotkhai, had gone missing while returning home from school on 4 July. Her body was found in the woods on 6 July with multiple injuries on her body. Her autopsy had confirmed that she was gangraped and later strangled to death. Following public outcry, the government had constituted a special investigation team (SIT) which had arrested six persons, Ashish Chauhan, Rajender Singh alias Raju, Deepak, Subhash Singh Bisht, Suraj (later killed in police custody) and Lokjan on 12 and 13 July.